Fred. Olsen is proud to celebrate the first graduates from its new Women's Leadership Network course, whose achievements were recognised in a graduation ceremony held at the Woburn Hotel, Woburn, Bedfordshire on 8thNovember 2018. Twelve managers from across a range of Fred. Olsen companies in the UK – Fred. Olsen Cruise Lines, Fred. Olsen Travel, Fred. Olsen Renewables, Natural Power and SeaRoc – were selected to take part in a six-day residential course, between August and November 2018, with the aim of learning and developing the skills necessary to become effective leaders and ‘change managers’ in their respective businesses and teams. This is the first time that Fred. Olsen has undertaken such leadership training, and was designed bespoke by leading London-based management development consultancy, StudyFlex, working closely with Susanna Frost, Human Resources Director of Fred. Olsen Ltd., who came up with the initial concept and vision for the Fred. Olsen Women’s Leadership Network. The six-day course – held over three two-day modules in Woburn – was led by StudyFlex’s Managing Director, Rachel Lambert CMgr FCMI, and focused on areas such as personal development, organisational culture, the role and qualities of leadership, effective teams, and managing and affecting change. As well as taking part in the pioneering course, many of the group are studying towards a Level 5 Award in Leadership and Management with the Chartered Management Institute, which has been fully-funded by Fred. Olsen and supported by StudyFlex. "This was our first leadership programme designed to enable women to build on their strengths and further develop their own leadership style. Creating a network such as this has been both rewarding and challenging and I feel immensely proud of our first group." The Fred. Olsen’s Women’s Leadership Network is supported at the highest level within Fred. Olsen. Nick Emery, Chief Executive Officer of Fred. Olsen Ltd., attended the final evening of the course and addressed the first-ever graduates, also presenting them with their course certificates. “At Fred. Olsen, we put our people at the heart of our business, and it is a very proud moment to be celebrating the achievements of such a talented and dedicated group of women from across our various companies. Following the success of its inaugural Women’s Leadership Network course, Fred. Olsen is committed to running such training in the future to grow and inspire even more female leaders across the Fred. Olsen companies. The proud graduates from the inaugural Fred. 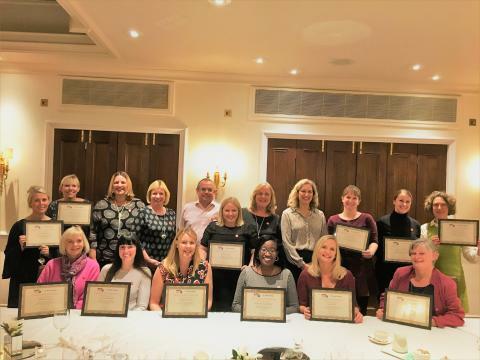 Olsen Women’s Leadership Network course receive their certificates at the Woburn Hotel, Woburn, Bedfordshire on 8th November 2018. Pictured, left to right, back row: Fay McCormack, General Manager, Star Clippers – Fred. Olsen Travel; Rachael Jackson, Public Relations Manager – Fred. 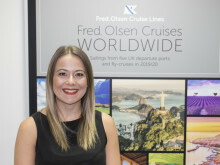 Olsen Cruise Lines; Susanna Frost, Human Resources Director – Fred. Olsen Ltd.; Penny Edgar, Director of Finance and Treasury – Fred. Olsen Ltd.; Nick Emery, Chief Executive Officer – Fred. Olsen Ltd.; Diane Hance, Head of Organisational Development – Fred. Olsen Ltd.; Rachel Lambert, Managing Director – StudyFlex; Belinda Mindell, Chief Financial Officer – Fred. Olsen Ltd; Claire Wright, Head of Finance – Fred. Olsen Cruise Lines; Lauren Wheatley, Director of Advisory and Analytics – Natural Power; Nancy McLean, Head of Offshore – Natural Power. Pictured, left to right, front row: Bridget Coe, Franchise Manager – Fred. Olsen Travel; Leanne Ramage, Head of Projects,Technical Department – Natural Power; Catriona Coan, Marketing Manager – Natural Power;Hannah Acquokoh, Chief Group Controller – Fred. Olsen Renewables; Lisa Utley, Client Relations Manager – SeaRoc; Clare Ward, Director of Product and Customer Service – Fred. Olsen Cruise Lines.